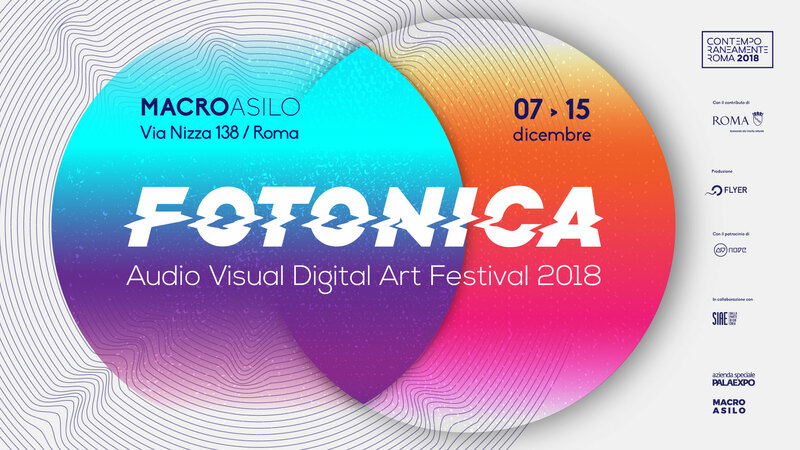 And it is precisely from this concept that the second edition of FOTONICA is evolving, from 7 to 15 December 2018 at the MACRO Asilo – Museum of Contemporary Art in Rome. The initiative is part of the program of Contemporaneamente Roma 2018 promoted by Roma Capitale, Assessorato alla Crescita Culturale and in collaboration with Siae. FOTONICA has then devised a large space dedicated to the theoretical and practical approach of the world of audio-video and digital art thanks to the lectures, workshops on themes and instruments concern the digital and visual arts with Fusolab 2.0 and the children’s laboratories of the Athens Digital Art Festival and KidsBit, which aim to bring the youngest into digital culture through creative tools and stimuli. Entrance to all activities, workshops included, are free. For workshops, lectures and priority entrance please fill this form.